1955 GMC Other in San Diego, CA for sale. 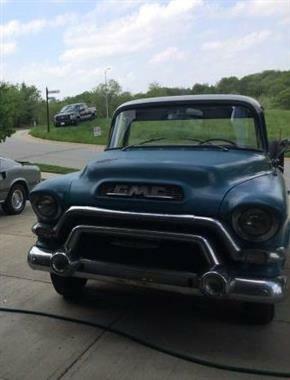 1955 GMC C100 Series 2 pickups with its original Pontiac 287 V8 motor and drive train. 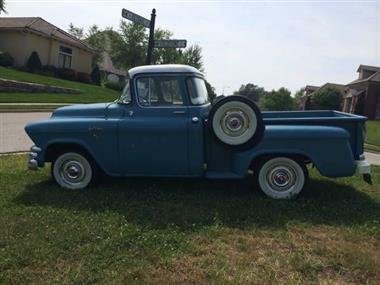 Very original step-side short-bed 1/2 ton truck. Deluxe Cab model with 3 speed manual column shift. Motor professionally rebuilt in 2013. During rebuild, replaced original 2 barrel intake with proper period Pontiac 4 barrel intake and added Edelbrock 4 barrel carburetor and air cleaner. Still have original 2 barrel intake and original Oil Bath air cleaner. Most everything else has also been restored, rebuilt or replaced with appropriate parts. Call if you would like to discuss with mechanic that performed work. Interior professionally redone recently and truck still has its restored original AM radio in the dash. Previous owner indicated current paint was 1970s repaint of original color. We saved this truck from an aging collectors warehouse several years ago and have just restored it over the last couple of years. Probably one of only a handful of surviving.